Twitter is made for people like us: a forum where communication must be clear, engaging and concise? GAME ON. But — whether out of indifference, fear or social media fatigue — many have yet to experience the wonder. If you’re one of the uninitiated, give Twitter a go. The platform is rich with editors and writers who will keep you on top of the ever-faster-changing linguistic landscape. And, contrary to popular belief, you can control it. Make the most of your Twitter time by following these tips. Include an image — Tweets with photos enjoy 313% more engagement. Video also gives a bump. Know that there are best times of day to Tweet. Go full Guy Kawasaki if you dare — he shares the same post up to four times a day! 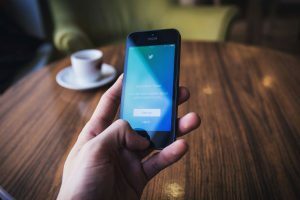 Hashtags are fantastic for browsing or participating in slow chats, such as #amediting and #amwriting, and scheduled chats, such as #ACESchat, #EFAchat or #EditorsChat. Use them judiciously though. Hashtag #abuse is #annoying and #impedes #readability. Twitter is greatest when you connect with and celebrate like-minded souls. Do that by being courteous and generous. Credit sources and writers using their @name. Not only is it a nice thing to do, your post enjoys greater visibility and engagement — that person may very well retweet or follow you. Retweeting is one of the highest forms of Twitter flattery, so show some love by retweeting others. Just don’t fill your feed exclusively with retweets — people follow you to hear what you have to say. When someone mentions you, acknowledge them, either with a simple heart or an actual reply. Definitely don’t be a metweeter. And when people take the time to answer your question, thank them. Sadly, courtesy is scarce on Twitter. Your good manners will go far. Get started by following a few of my favourite word-people accounts. Once you follow accounts, Twitter suggests similar accounts. Also check out who others are Tweeting about. And if people have public lists, scan those for interesting leads. How about you? What accounts do you recommend? What works for you on Twitter? Previous post from Lori Burwash: Don’t Tick People Off, and Other Tips for Writing and Editing Web Copy. Lori Burwash is a writer for Dissolve, a stock footage and photography company. She spends her days watching videos, Tweeting and writing blog posts. 3 Responses to "Twitter for Wordies"
These are some of the people who would qualify for the Karen Virag award, i.e., raising the profile of the editing profession. But probably none of them are members or Editors Canada, which is a requirement for receiving the award. At the moment. I vote for changing that, as our members are mostly not like Karen. Lori, thank you for reassuring non-users of Twitter that it’s such an easy, controllable and informative social medium. I’m not a social media fan, but I got onto Twitter a couple of years ago and am really glad I did. I think of it as the TV Guide to the web—a way of sorting through all the online offerings out there and deciding which ones to dip into. And it’s been great for tapping into ideas and tips from English editors around the world. To your lists above, I’d add @Copyediting and, of course, @editorscanada. A great way to connect with other Canadian editors is to look at who follows Editors Canada and follow some of them. Thanks, Frances. Yes, so many accounts that could have been listed … and so much more that could have been said, except for that 500(ish) word limit they gave me. Good additions!